Ashoka trees are commonly found in the Central and Eastern Himalayas and South India. Also known as Saraca Asoca or the Indian variant Polyalthia Longifolia, this rainforest tree has long been used in traditional Indian medicine thanks to the numerous benefits it provides. For this reason, the word Ashoka is translated as ‘without sorrow’ or ‘no grief’ in Sanskrit. The bark, seeds, flowers, and leaves of the tree are widely used for managing various health conditions, but derivatives like Ashoka powder and extracts are also popular. But how exactly does Ashoka help, and is it really effective? Ashoka herbal medicines act as a tonic for the endometrium and uterine muscles, relieving abdominal pain and spasms. The herb is also used to treat menstrual disorders, dysmenorrhea, irregular menstrual cycles, cysts, fibroids, and other reproductive disorders. A review of existing literature on the effects of Ashoka reveals that the tree has been used for treating genito-urinary conditions since as early as the 9th century CE. Furthermore, research has shown that the constituents of Ashoka include flavonoids, saponins, glycosides, and tannins that offer antibacterial, anticancer, anti-fungal, uterotonic, anti-estrogenic, and anti-inflammatory properties. These features make the Ashoka tree an excellent ingredient for home remedies to treat various gynecological issues. The pain-relieving and analgesic properties in Ashoka trees can help relieve joint pain, muscle pain, and back pain. You can make a paste using the bark or leaves and apply it on the affected areas to get relief. A study published in the journal Annals of Plant Sciences, proves that Ashoka leaf extracts have an analgesic effect that could be explained by the presence of petroleum ether, chloroform, and methanol. The leaves of Ashoka can help detox your system, reducing levels of ama or toxins in the body. This results in a clearer complexion. Extracts from Ashoka tree can also help soothe skin irritation and burns. In one particular study on plants used to treat skin conditions, Ashoka was found to be beneficial in the treatment of external inflammation, skin diseases, and ulcers. It is also said to be useful for managing eczema, dermatitis, pruritis, scabies, and psoriasis. Let the bark of the Ashoka tree boil in water for some time. Consume this drink twice a day to treat piles and reduce bleeding. Ashoka is believed to help in such cases because of an effect it has of lowering inflammatory responses. Consuming the bark or leaves of the Ashoka tree can clear the digestive tract of parasitic worm infestations. Extracts of the tree can also help reduce bloating and provide pain relief. Regarded as Javaranashaka in Ayurveda, Ashoka bark can also help to reduce fever, making it a valuable resource when dealing with viral infections that cause elevation of body temperature. The flavonoid fraction of the Ashoka flowers shows hypoglycemic and antihyperglycemic properties. This makes it valuable in the management of diabetes, as it helps lower or regulate glucose levels, which is also a key feature in diabetes drugs. 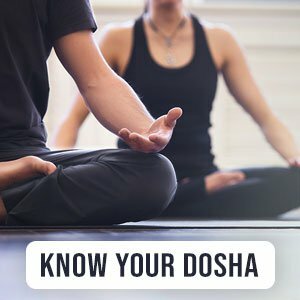 Although Ashoka products and extracts can offer a variety of health benefits, it is important that you consult your health care provider or an Ayurvedic doctor before you begin using any formulation for an existing health condition. Keep in mind that the herb should be avoided by pregnant women as it can induce abortion. When using Ashoka, make sure to opt for products from reputed brands. If you’re having difficulty finding retailers in your area, you can also find a range of Ashoka products at our online store. Bhalerao, S., Verma, D., Didwana, V.S., & Teli, N. (2014). Saraca asoca (Roxb. ), De. Wild: An overview. Annals of Plant Sciences. 770-775.